Making succulents arrangement is a lot of fun. There is so many shapes, sizes, and colors you can choose from to make an art piece in the pot. 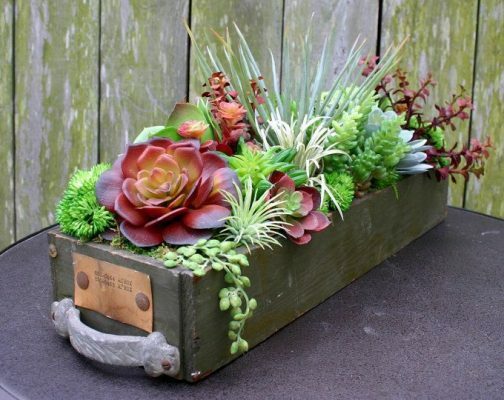 Succulent arrangments make a great gift or a decoration. However, there are some tips you should know before packing your dream arrangement in order for it to stay healthy and beautiful. If you want to combine different types of succulents in one pot, you’ll have to think about different needs they may have. As we all know, the key for a happy and healthy succulent is enough light, just right amount of water and well-draining soil. Every type of succulent need a different balance of those tree tings, so you need to keep that in mind while deciding which one to combine. The best way to have a healthy succulent arrangement is to go with plants that have a similar need for water and light. This way you’ll avoid rotting of the roots or some plants not getting enough light. The easiest way to determine the water needs of the succulents you want in your arrangement is to examine the thickness of their leaves. Thicker leaves mean less watering needed. When it comes to needing light, there is a great variety between succulents. Some of the succulents, like Sansevierias, prefer low lightning and some of them, like Sedum nussbaumerianum, need full sun to maintain their shape and color. 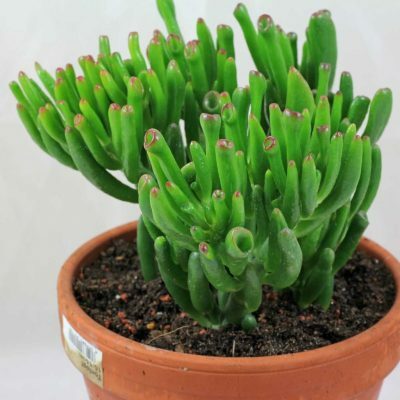 There is a great dilemma about how close succulents can be in order to grow healthy and pests free. it really depends on how you want your arrangement to look like. One general tip is that you can plant succulents as close as you want and they will be just fine. It is always smart to leave your plants enough room to have good airflow and drainage. 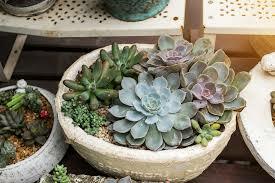 If you plant your succulents closer together, they’ll grow slowly and your arrangement will keep its shape longer. This is a good solution if you’re making an arrangement for a gift or event. However, its easier to water plants if you leave some space between them. In that case, they’ll grow little faster and fill in. 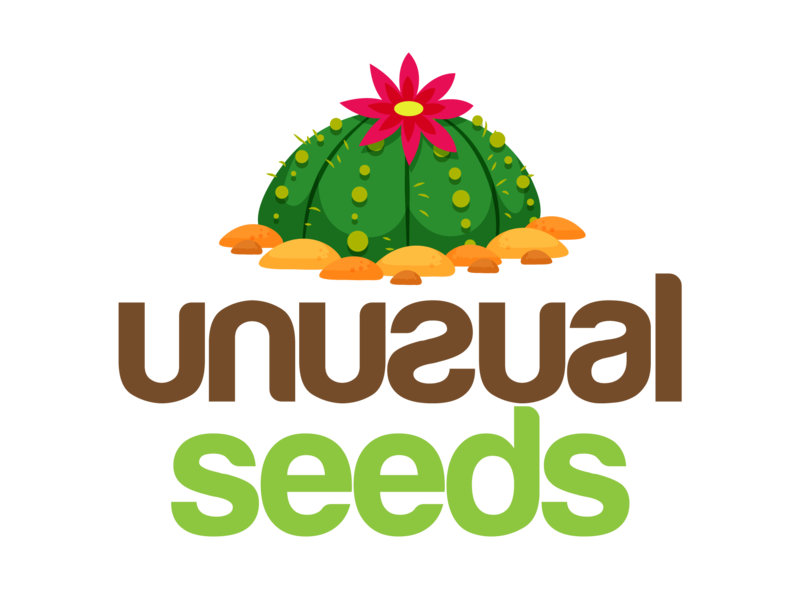 This is great if you want your plants to be bigger and to reproduce on their own. However, if you leave to much space between them, succulents will focus on producing roots, so they may stop growing for a while. One of the most common mistake people is making when planting succulents are placing a succulent in a pot with the soil below the rim. In that case, water will pool up and make leaves inside the pot rot quickly. This can cause infection of the plants. You should instead make sure that all of the leaves are above the rim. You can easily do that by putting some soil in the pot and then placing your succulent to make sure everything is in the right place. 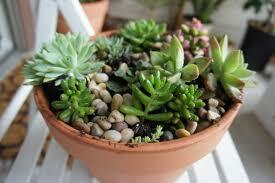 There are also some trailing succulents you can place in the arrangement and make them grow above the edge of the pot. This will make your arrangement really stand out. When it comes to designing your arrangement, the sky is the limit. Besides letting some of the succulents hanging over the edge of the pot, you can really make your succulent arrangement eye- caching by adding some height. This means that you’ll plant some tall succulent in the middle of the arrangement. You can add some shorter ones around it, to fill the space and than add trailing ones around the edge. This is an evergreen style you can’t be wrong with. You can also play with colors and shapes. Some geometrical shapes and bright colors are always a great choice, just make sure to have some neutral greenish and gray succulents around to make them stand up. 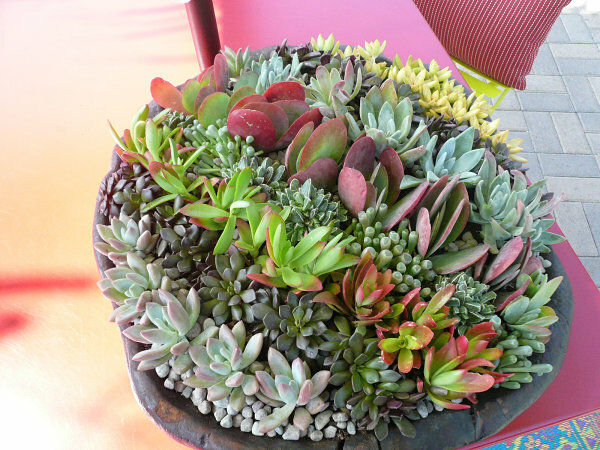 This entry was posted in Blog, Succulents and tagged Arrangement, Decoration, Succulent.